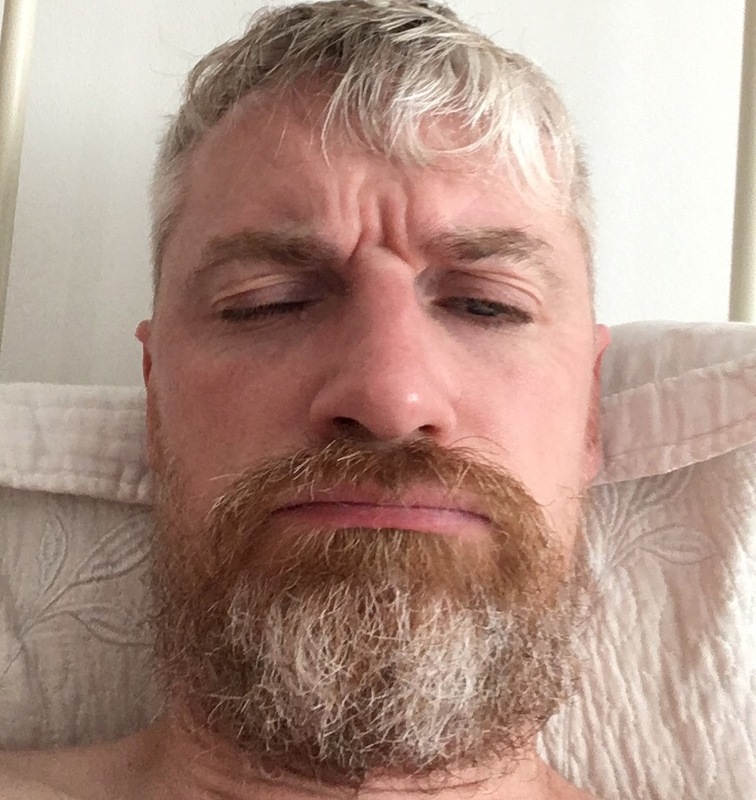 The man flu | What's a daddy for? I’ve barely got the strength to type today. I’m only doing it because of my selfless devotion to my art. And to my fans. Things are grim. I’ve got….. But not just any man flu. This is a previously unknown virulent and ultra aggressive strain. I’m the first to ever fall victim to it. My head throbs, like there’s something alien in there gnawing away incessantly at my brain. My eyes feel like they’ve been staring at the sun too long. My throat is closing like the lid of a coffin. My limbs heavy and sore, every muscle screeching in anger. Luckily I’m not one to complain. I felt it coming on me last night. It started with the sneezing, each time like a cannon going off in my head. Skittling brain cells I can scarcely afford to lose. Then, through the night, the shivers and shakes. Now even my beard aches. I dosed myself up on Lemsips. But the brave little particles of paracetamol turned and fled when faced with the unstoppable march of this new unknown menace. I could go to the doctor. Or the pharmacist. But I doubt there’d be much they could do. This horror is beyond the scope of conventional medicine. I’m in bed. All on my own. Luckily the wee man’s in daycare today. I’ve shielded him from the worst horrors. I tried to raise my head but it was no use. I weakly replied, my voice hoarse and failing. She shook her head and mumbled something about it being ‘only a sniffle’. So I’m still here in bed. On my own. Luckily, I’m not one to complain. Earlier my wife took my temperature. It was normal. This truly is a devious sickness. I need the bathroom now. But it seems so far away. Like a different continent. What happens if I fall on the way? Probably best to just stay where I am. Safe and warm. Eating choccy biccies in bed. Thank God I’ve still got my appetite. But I can’t stay in bed all day. I’ve got an important social engagement tonight. It’s a dear friend’s 70th birthday party. And I don’t want to disappoint him. I couldn’t bear it. And there’s a free dinner laid on in a fine restaurant. So heroically I’ll rise from my sick bed and put on a brave face. There’ll be lots of people there. And they’ll be asking how I am. And I’ll have to tell them. It’s my responsibility to warn them all of what is coming. I’ll have to stop now because the little strength I have is failing. I hope I’ll be back to posting again soon. But we’ll just have to see how it goes. I so want to live. I desperately hope that you all avoid.